Goode has revealed some of the most detailed, the most intriguing, and the most shocking disclosures many of us have heard to date. Most of these disclosures came at his own expense. Goode has endured ridicule, danger to himself and his family, and even torture. All of this has taken place amid a steady stream of online trolling that would likely force the average person into hiding. Since his introduction, Corey has endured a lot more than many of us have. Yet even with the constant opposition, he has managed to remain a reliable source on numerous counts. This has been consistent up until this point. However, recently it seems that Goode is under more uninvited control than he or any of us would want in our lives. This article is a deductive exploration of the recent changes to Corey Goode's relationship with the Secret Space Program personnel. Within this discussion, I intend to understand why the changes we have seen have taken place and to shed light on how we can help move the plan for Full Disclosure forward. Before beginning, I want to make the statement that nothing I state within this article is done in complete certainty. Outside of the authentic quotes from Corey Goode, I have not received any intel on the situation from of Corey Goode other than that which he has stated on record in the Cosmic Disclosure series and on his website Sphere-Being Alliance. The points made within this article are purely deductive and reflect no inside knowledge of the situation other than that which can be observed by the average audience member. There has been quite a bit that Corey Goode has endured for the sake of delivering his testimony and doing everything he can to promote Full Disclosure. His testimony has multiple strong suites. It has been shown to be thoroughly consistent and has not changed at all over time. It holds numerous data points which are consistent with several other credible and experienced whistleblowers. To add, Goode's testimony has proven to be significantly consistent with ancient records of angels and ET contacts from the ancient past. Up until this point, the accounts of Corey Goode have proven to be so foundational that there is no way to disprove the entirety. This is most likely why none of his attempted discreditors have bothered to do more than cheap attacks at his character. It is for these reasons that I consider Corey Goode to be a reliable source for one's search for accurate truth about black ops, ET life and the interactions between these parties from the past and present. It is the consistency of Goode's testimony as well as the authenticity of his personality that can cause any inconsistency to stand out. One of these inconsistencies came out on the Cosmic Disclosure episode, Life After Disclosure. This episode did not necessarily hold untruth within it, but in my observation, it did reveal that something was definitely not right. Up until this point, we have seen Corey Goode develop significantly in his poise on stage and on set. We witnessed him go from uncomfortable and insecure to a more confident persona. (According to Corey, this was also due to the multiple pain medications he was taking to alleviate the surgical pain he was constantly experiencing at the time.) This development was clear and an encouraging thing to witness. However, his recent change in tone seemed out of place. I do not think that Corey has been replaced with a clone, possessed by the devil, or had any other imaginative mishap imposed upon him. There have been many people who have suggested and asserted such things, but none of these people have ever offered the slightest ounce of proof or reasoning for making such assertions to begin with. To add, there is absolutely no inconsistency that I have ever witnessed which could logically disprove the testimony which Goode has given thus far. With this said, I do believe there is a reason why we see a distinct change within Goode's tone and demeanor. It is my belief that this change is temporary and is the result of coercion by SSP personnel. Let's get to the bottom of this. Over the past few weeks and months, we have received some extremely interesting intel from Corey Goode. We have received news of significant developments in solar systemic changes, in planetary liberation, and in numerous off-world activities. Along with this intel we received the news that Corey's disclosures were being censored to an extent. At first this censorship seemed harmless and with good intention. However, its presence caused me to question those who initiated it. 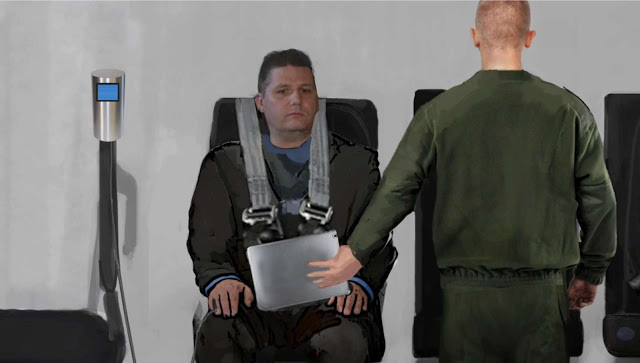 On top of this censorship, we heard of the unethical and harsh treatment the Secret Space Program personnel gave to Corey as they abducted him, interrogated him, and took samples from him. These actions by the SSP revealed that these people did not have the best intentions in mind. To add, it seemed that these people did not have much regard for humanity or the respect thereof (unless it served their own interests). This also caused me to question the potential consequences of dealing with these people for too long. To give us a clear picture of just what type of people one may find within the Secret Space Programs, let's consider the episode titled, Veiled Threats and Open Disclosures. Within this episode, Corey shared about a particularly unpleasant character nicknamed “The Wrangler.” This was a cold and cruel high-ranking individual who basically tortured SSP operatives who weren't performing as expected. The physical torture that Corey Goode endured (along with the mental and emotional anguish involved) would have been unbearable. Seeing as this Wrangler was a professional “motivator,” he knew exactly how to push people's buttons to make them comply. The example of the Wrangler is just one of many we find within the SSP. Yet it shows just how cruel and heartless these people can be when they intend to get their way. This propensity for violence and dehumanization combined with the enforced secrecy of the SSP caused me to become concerned over what was happening to Corey Goode behind closed doors. Ever since Corey Goode came on the scene, he has promoted a message of peace, unity, forgiveness, and an overall positive outlook to our situation. Those who have made the effort to watch each episode of the Cosmic Disclosure series will already know this. It is those who have not taken the time to make these observations that typically make snap judgments and negative assumptions. Like all of us, Corey Goode has his flaws and does his best to realize and improve upon these (and this has been visible over time). However, during the episode of interest, Goode's demeanor seemed out of place. It seemed as though Corey was visibly upset—even angry—during the episode Life After Disclosure. The title of this show seemed extremely positive and had both David Wilcock along with much of the audience expecting a positive experience. However, Corey was visibly uneasy and tense the entire time. It is my thought that this was a result of the secrecy which the SSP have imposed upon Goode at this point. However, in Goode's delivery, there seemed to be something missing which we usually enjoy. It was clear that Goode was under extreme stress during the interview. Also, the ways in which he answered the questions seemed completely out of character compared to Corey's usual tone. The tone which we saw during that episode seemed to be promoting more of the partial disclosure narrative to the audience. We have all seen just how dedicated Goode is to the Full Disclosure timeline. Consequently, I cannot see him suddenly changing his stance so thoroughly. It has also been consistently apparent that the Lower Level SSP are the ones who are promoting the partial disclosure narrative. This has been a major point of contention between Goode and these people ever since Corey came forward as a whistleblower. Considering these things, it becomes apparent that such a significant change did not take place under Goode's own volition. So what could have coerced Corey into changing his stance in this way? At this point, I have covered what I believe the cause is not. So let's talk about what the likely cause of this change in tone is. 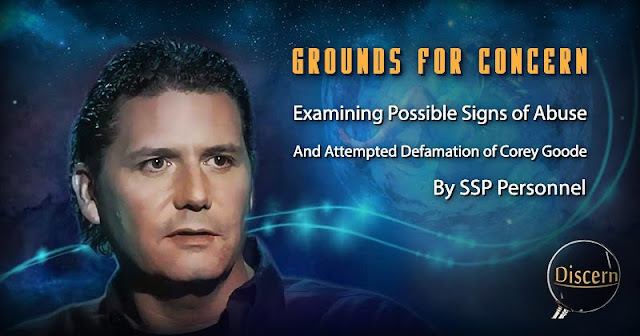 It seems most likely that Corey Goode's recent change in tone stems from coercion from the SSP to get off of the Full Disclosure rhetoric and to make the partial disclosure narrative seem more appealing. The reason I see this as most likely is because it has been the norm for the past year (and some months) that Corey Goode has been disclosing. Early on, we saw Corey being chased by a Chinook helicopter. We also heard of stories of people stalking him and his family, and even subjecting them to life-threatening harassment. We saw one instance of physical damage to Corey's house that was so severe that the family had to move out of the house altogether. A number of other strange occurrences showed that there was intense opposition to the disclosures he brought forward. These ordeals have already been openly disclosed as methods of the SSP in their effort to silence Corey, and prevent him from promoting Full Disclosure. Along with these, certain divisions of the SSP seem to believe that torture is a good method of motivating people to comply with their demands. Both of these subjects have been disclosed and elaborated upon by Corey Goode on his website and in the Cosmic Disclosure series. With this in mind, let's consider the recent secrecy and changes within Goode's demeanor. If Corey Goode has been the victim of these abusers once again, this would explain quite a bit. The fact that these people wanted to control the information which he released seemed sensible at first. However, as time went on, their control seemed to have grown significantly in ways that did not make sense. As Goode mentioned, even David Wilcock—a man who has been deemed by numerous whistleblowers as a trustworthy person to keep secrets—was not allowed to know certain information for reasons the SSP did not want to communicate. These were among the first warning signs. Other signs included the multiple abductions that these SSP personnel subjected Corey Goode to over time. 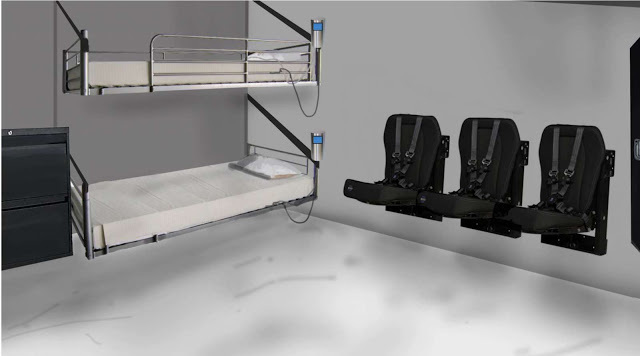 During each of these occasions, Corey was controlled outside of his free will and forced to take part in the experiments disclosed in his article. The cold and heartless treatment of these people mimicked the cruelty we have come to know from the Cabal and seems completely out of place in any setting we might consider positive. These were yet further signs that Goode was spending time with the wrong crowd. Finally, we have the secrecy which escalated from subtle to unreasonably severe, now manifesting and what appears to be the coerced promotion of the partial disclosure narrative. This comes from a man who has done everything he could to promote Full Disclosure. Even at his own risk, he still promotes this very worthwhile cause today. During the rescent interview, Corey was visibly upset (to restate). His tone was excessively negative in comparison to every other interview he has given. This change seems to have been noticeable and concerning to David Wilcock as he clearly attempted to give Corey questions that would normally prompt a more balanced and positive answer. This apparent negativity comes on the heels of what seemed to be a public attempt to personally attack and discredit Corey Goode by Dr. Steven Greer. I cannot say that Greer is deliberately helping the SSP's partial disclosure narrative, but during his recent presentation, Greer's tone came across not as provable science, but as religious extremism. In saying this, I do not at all intend to discount Dr. Greer's desire for disclosure and for positive interaction with ETs. I believe these are very beneficial causes and I commend Dr. Greer in his efforts during the original Disclosure Project. However, it seems that his particular belief system falls short of the entire body of admissible evidence. It is not my intention to make mention of conflict or disagreement within the UFO community. The reason I bring up Dr. Greer is because of the fact that he seemed to deliberately target Corey Goode even though (to my knowledge) he has never done this to anyone in the past. In light of this attack, one would think Corey Goode would do his best to be as positive as possible, but this was not the case. Corey Goode is an intelligent person. He is also a peacemaker and an overall gentle soul. He does everything he can to be above reproach and to represent himself and his loved ones with respect and dignity. He has enough self respect to maintain this positive persona. So when we see him break this norm and instead, help those attacking and ridiculing him by fitting the bill for negativity, we know something is up. We may have also noticed Corey repeating the smelly alien comment numerous times. This seems completely out of character and fails to acknowledge the numerous angelic beings he has constantly interacted with. This and many other changes to Corey's commentary stood out significantly. If someone had no problem torturing Corey Goode, and had no qualms about threatening his family, I would expect the exact same behavior we have seen in Goode recently. Also if these people had given him these threats and torture along with a gag order that if he told anyone that things would become much worse for him, this would be an extra motivating factor to compromise his tone. It is important to remember that Corey has endured excessive torture and abuse numerous times throughout his experience. Many of these times, those protecting him did not step in to help at all, but instead, allowed the torture to run its course. It could very well be that Corey is afraid for his life and his family's safety, and because he doesn't know how far his protection goes, he is cooperating to a degree. If this is the case, this would be an extremely difficult situation to endure, and would explain why he was so visibly tense and upset during his interview. The fact that we still see him and that he is still speaking out for Full Disclosure is a testament to his resolve to see this planet liberated. Fear can be a knee-jerk reaction to the uncomfortable or dangerous situation. Within any difficult situation, the opportunity for this fear always exists. This is the nature of our free will choice in life, and we can either choose fear or love in response to any problem. However, the choice to exist in a higher state of being is always available to us. When a firefighter rushes into a burning building, there may be an initial reaction of fear. However, this fear does no control the individual, but instead is used as a tool. It is changed into the energy needed to get the job done. By the decision of the individual, the fear becomes the motivating factor to solve any problem the firefighter may experience. This same process applies to a lifeguard as well. Before training and practice, a person can become fearful when witnessing a drowning victim. They may look at the situation and panic for lack of knowledge of what to do. However, with training and practice, an individual learns to use their adrenal reaction to save one life after another. In reality, this is the very reason we are filled with energy the moment we see a potentially hazardous situation. We are naturally designed to act quickly when faced with potential dangerous. However, since we live idol lives, that energy is wasted. Left unused, the energy defaults to a lowest state of productivity. This is fear. Whenever we are faced with difficulty, we must remember that fear is a choice, and not an absolute. If we remain idol in our fear, we fail to use the tool that nature has given us to alleviate the apparent cause of that fear. When we learn to channel that energy, we become a key asset to ourselves and others. By doing this, we become better able to save the world as we are destined to do. We have learned from the Law of One that all we need to do in order to receive help is ask for it. If enough people put out a call (the active intention) for help to the benevolent ETs who are standing by to assist us, we will receive it. This is not a prairie as we may think of in a religious context. This is a request from our equally divine counterparts off-planet to lend us assistance whenever we need it, and in whatever situation we allow that help to exist. Among many, this situation with Corey Goode seems to be one in which we as a unified people must act for the health and safety of our fellow human, and I believe it is extremely important for us to ask for help on behalf of Corey, as he has done so much for us thus far. In order to help Corey Goode as well as our entire planet, we need to know what specifically to ask for. Above anything else, I believe we must request help and 100 percent protection for Corey and his family. Next we should request for Corey, 100 percent relief from the dangerous situation he is likely in at present, along with the complete and total neutralization of the power of his abusers. This is not to say that the entire SSP should be eliminated, but to say that the abusers among them must be confined and rendered powerless to harm Corey or anyone else. If we truly want real and lasting change, I believe there are two other things we must request from the benevolent ETs and helpers off-planet. These are to implement Full Disclosure for the greatest and highest possible outcome, and that 100 percent of all psychopathy and sociopathy on the planet be completely healed and erased. There is one more step for us to take is to take the advice that Corey Goode (along with many others) has communicated since he first began speaking. That is to use our skill of discernment. Far too often, we as individuals forgo our due diligence of verifying the information we encounter. Instead, we blindly choose to either accept or reject information based purely upon empty assumption. Many of us judge information based on its source, its initial appearance, or rumors surrounding the information. In actuality, none of these attributes by themselves are guaranteed to guide a person to accurate information. In modern times, the task of accurate research and journalistic examination seem to be lost arts. Instead of verifying each proposal from each source we frequent, we have a tendency to blindly trust information based solely upon habit. Some of us never even think to question the information we find and are only interested in the thrill of reading new information. In each of these actions, we can miss the main point of our research. Below is a short excerpt from the recent episode of Cosmic Disclosure which exemplifies Corey Goode's stance on the importance of personal discernment. The passage comes from the episode, The Banished from Inner Earth. Corey: Right. Well, then, and they're also doing this project as a way to discourage future whistleblowers from coming out. If they totally humiliate me or Tompkins or any of the others, then I think they believe that future whistleblowers will just stay quiet. David: Right. How would you like to be able to let us know who is real and who is false as this goes forward? Do you have any idea of how this is going to happen? Corey: Well, that's going to have to go with each of the viewers and the people out there. They're going to have to start using more discernment . . .
Corey: . . . and not start getting emotionally attached to a story just because it's exciting and they like it. Corey: So they're going to have to vet theirselves. The last thing that Gonzales and Tear-Eir want us to do is to get into a position of, “They're a fake. They're real. They're a fake,” and then all this inner fighting starts to occur in our field. Simply put, the act of discerning information is to use our higher consciousness to evaluate the truth behind information. This is a task of independently determining the aspects of a message that are true and distinguishing them from those that are not. The more we use this ability, the more skill we develop at accurately applying it to our everyday lives. To illustrate one of the important tasks of discernment, here is another episode from the Cosmic Disclosure series called Remote Viewing and Influencing. Corey: Right. Coordinates. They're going to try their best not to front-load you with what the target is. So they'll go out of their way . . . The person that wrote the target on the piece of paper, a lot of times won't even know what the target is. They'll hand it to a person who will hand it to a person that will bring it to the remote viewer to prevent any psychic leakage or bleed-through. With the remote viewing, you view the target, but it isn't considered a hit until it's been verified. So in channeling, you're opening yourself up and pulling information from an unknown source, and it's never verified. Or maybe bits and pieces will be verified, but it's never fully verified. David: Do you think there is some essential flaw in the human psyche, where if a channeler gets a few things right, or halfway right, that people just automatically want to believe everything that's said? Corey: Once a person gets a little bit of validation from a source, a lot of times, they quit validating. So they'll get a little bit of validation, open their minds, and accept everything that is given to them, instead of validating every data point, which is what is done in remote viewing. Everything has to be validated. It's not considered successful until it's been validated. David: So even the best remote viewers have brought in a lot of garbage data on their path to perfecting that skill. Corey: Right. There's going to be a certain amount of the data that's coming from your subconscious. So that has to be filtered out. And they're not going to have one person. At a minimum, they have three, so they can triangulate. And they'll have, usually, a group of people do a remote viewing, and then the people that go through the data know how to ferret out the stuff that pops up through the different people's psyches. And they have personality profiles on the people, and they're able to clear out that information. The reason Corey Goode, myself, and so many others stress the importance of discernment is because inaccuracy is a common problem among sources, and naivete and gullibility are rampant problems among audience members. No matter how reliable a source attempts to be, that source is not perfect. The responsibility lies solely upon the reader to determine accuracy of the material, which makes the skill of discernment foundational to any productive search for truth. The fact is that accurate sources sometimes make mistakes, and liars sometimes tell the truth. Also, sometimes reliable sources become compromised by interference. This makes it important for us to be observant and discerning so that no matter how complex a situation might be, or how misleading certain information might be, we can always make sense out of the accurate aspects within it. At this point, we have received more than enough intel from Corey Goode to know where he stands on each of the issues he has spoken on. We have also received his take on the importance of responsible research and verification of a source. Goode has even encouraged people to verify what he himself says. The fact is that within responsible discernment, there are no exceptions to scrutiny. We have all we need from Corey Goode and many others to wake up the people by the thousands. These accounts have provided priceless pieces to the puzzle of disclosure that cannot go unacknowledged. This is not to say that we will not be receiving more. I think we will, but until Corey Goode is freed from the controlling and potentially dangerous situation he seems to be in right now, we must do all that we can. If I am wrong about all of this and Corey Goode just had a bad day and chose to let himself slip, then that is one thing, but I do not at all think that is the case. Even if none of this is true, each of us would do extremely well to make the call for protection for Corey Goode and his family anyway. Noting but good can come from helping the process of planetary liberation along. These, I believe, are important steps in helping to free the planet and eliminating the powers that hinder us. If the concepts within this article are in fact true, we owe it to Corey to put our time and energy into helping him as much as he has helped us. I watched the Life after Disclosure episode last night and found myself very grumpy today. When I checked in, realized it was because Corey seemed to be onside with "partial disclosure" and that this was going to be controlled by the cabal. Why did David not argue, clarify at this point? It was all very strange and certainly disappointing. Glad you found this worthy of a report. Something's up, for sure. I vetted Corey with my gut when I first found him posting on TOT, managed to find everything he'd written and got the Authentic signal consistently. When David started the show on Gaia, I was happy for a chance to vet him with voice and visual. Again, my read was wholly authentic, he's telling the truth. Yes, this last episode seemed off. First time, my read came back with something's not right, not authentic. So, I agree. Yes...very noticeable departure from all other interviews. Corey was definitely pushing toward 'partial', disclosure ...saying he firmly believed we would be left sucking our thumbs etc..
Talking about smelling or even seeing these ' beings' would be unsettling... Interview left me ' knowing'... Something was out of place. What was written here seems like the best ad most possible reason's that Corey was like this. I observed the same things after the last show and went back to watch the others. I feel he loves and values his family more than anyone and can only imagine what "they" (not his family) must be doing to him. I know he would draw the line n the sand when it comes to the safety and well being of his family. I too will do my part in my meitations to send Corey and his family alog with all the other legitimate whisleblowers unconditinal love and suport for their efforts in disclosing this information. Recently I have seen so many YouTube video's removed that I knew "they" are on a huge campaign to discredit them all as he had warned us as long with others. Tuesday night I had fallen asleep on my couch and had a horrible nightmare that I won't get into but it was from tension and the feeling of helplessness and inadequacy in helping to get the word out to everyone but the writer here makes a great point, we need to keep all we've learned and put it into practice according to the Law of One teachings Corey did tell us we will have a darkness before the dawn so to say and I am truly seeing it now. Things are changing but the Cabal is making it's last ditch effort to stop the inevitable. We must be strong and hold that space of unconsitionally Love for our planet and the Universe all together and we cannot forget ourselves. We can do this! Have faith even in the face of our toughest adversities in the coming months and maybe even years. Do your part to raise the consciousness as much as we can possibly do. It will all turn out for the good. We will not fail. Ascension IS inevitable but lets makes this happen for as many as we possibly can. Have compassion everyone. It may be extremely difficult in the coming days. Our faith and compassion, honesty and our love will be tested harder than ever before. DO NOT GIVE UP OR GIVE IN TO THE NEGATIVITIES!!!!! Peace Love and Light! My heart goes out to Corey. The poor guy is trying his best. I still do not understand how the Blue Avians can allow the tortures he went through. Of course, I heard and read the explanations that was brought forth. Maybe Corey needs to find out the answer to who he was, is and will be in order to get some sort of advantage against these not so pleasant characters. Sent Love and protection to Corey and family, also David, and to all who are seeking to share vitally needed info at great cost to themselves...Thank you Shem, for your Beautiful request, it strengthened my intent to keep them safe from harm. Now that Corey and Wilcock have released ENDGAME part II we know the intel Corey was withholding temporarily was the antartica ancient ruins being excavated and prepared for controlled partial disclosure. 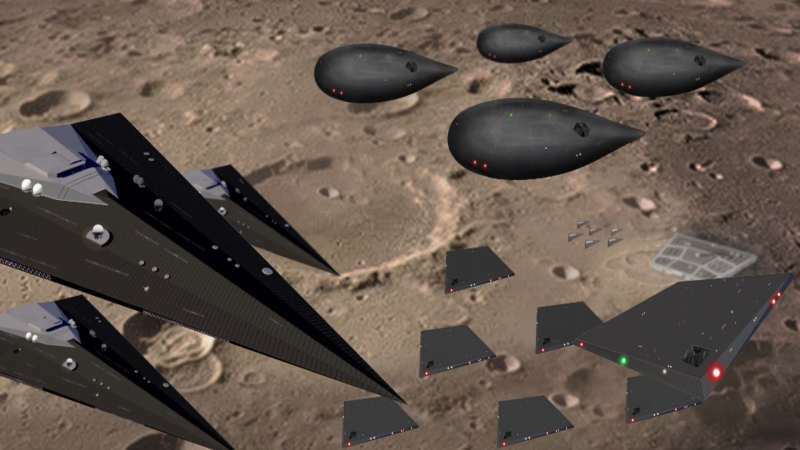 The intel was withheld to protect alliance assets on site at the time so as to not expose them. It was released as soon as they could to expose partial disclosure before the cabal could start it. I don't think Corey is in favor of partial disclosure. He always says it's what the cabal wants as a last chance to save their butts, not what the ssp alliance or him wants. When he speaks about phisiollogical and psycollogical reactions of first face to face encounters with ETs, there are two situations: the negative ETs he's had to face, very unpleasent undestandably, and a more generic situation in wich the ETs may not be negative, but for the first experiencer, it is a shock to the system, a burst of the reality bubble that affects both the body and the psyche. I hope this clarifies things. Knowing now the intel he was withholding and the reason why, I think this article needs an update. Today with so many differing viewpoints that are emerging (some to assist you and others to divert you) knowing what is truth has become next to impossible in such a quagmire of differing opinions. Here, fact checking alone will not be enough to determine for yourself, what is "truth". When it comes to "discernment", the art of knowing the truth, I would also like to add that the ability to “know” the truth is always a function of Divine Will and Its ability to "feel" the truth for you. The art of discernment, like any physical muscle can be developed through healing of the emotional body. Unconditional Love of Spirit has been known on earth now for some time but an area that needs to be developed and brought into “real time” is our Divine Will which holds our capacity to "feel" anything. When the creation of “Lost Will” through misunderstandings, denial, judgements and unloving thoughts of guilt is faced and healed through acceptance rather than continued denial we begin to regain the ability to “feel” and with that our intuition strengthens and our ability to discern the truth is also strengthened. Over the past 40 to 50 years we have had an overabundance of new Spiritual Teachings that have been dispensed to the Human race but not nearly enough on Divine Will and importance of the development of the emotional body. Science today acknowledges that the evolution of consciousness and that of the Human species is reflected in the development and the evolving aspects of our DNA. This evolution is as direct result of “emotional” input. That being said, I find it quite puzzling why far too little research and attention has been made to our ability to “emote” if indeed emotion is such an important part of Human evolution. When both the negative feminine polarity with its emoting ability and the positive electrical polarity of Spiritual light of understanding which make up our Electromagnet Merkaba Field are expressing freely and unreservedly then the Heart, whose function is to balance both polarities can then be properly accomplished to produce true unconditional love. If you truly wish to develop your ability to “discern the truth” then healing the emotional body (a far more difficult and completely different process than healing the misunderstanding of Spiritual Light) is absolutely essential. Discernment is a function of Divine Will and its ability to "feel" the truth for you.